The primary goal of an educational assessment management system is to simplify the daily lives of its users and at ROSworks we fully understand that and are committed to providing live, relevant data in a fast, easy, streamlined manner. We know that educators have countless demands on their time and we are but one of many tools with which they must interface. As such, ROSworks commits itself to offering all of its clients a simple, efficient, stress-free environment with our responsive products and services. This is made possible by our 100+ combined years of experience in assessment and educational technology which allows us to provide a program that will exactly fit every educator’s need and thus ensure student success. Another simple truth we understand is that a great system does no good if it is not affordable to our clients. Thus, we strive to deeply understand the financial environments our clients currently traverse and we tailor our pricing around what our clients truly need. We find that our pricing generally outperforms the competition by 30-50% on average while still managing to offer superior products. An efficient product at the right price is still only so beneficial if it cannot adapt to its users. We understand this and offer a comprehensive suite of products which can be customized to meet any testing requirement—no matter how large, or how small. In addition, ROSworks’ philosophy also guarantees that all updates and changes to our products directly reflect on careful analysis of both client feedback and the best educational testing practices as set forth by the states in which we operate. ROSworks offers both a collaborative assessment environment as well as a comprehensive set of assessment libraries based on both state and Core Curriculum State Standards. With countless years of combined K-12 educational testing experience, ROSworks helps educators keep pace with the ever-changing challenges taking place in the educational assessment landscape today. Data informed instruction has become a cornerstone of effective student remediation and is required for successful implementation of differentiated instruction strategies. This involves analyzing all levels of formative and summative student assessment. 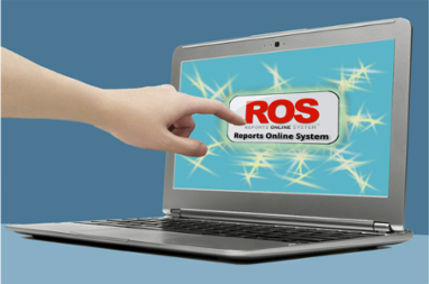 Clients who require a system capable of organizing, administering, quantifying and categorizing all of their student response data will be pleasantly surprised to find that ROS will exceed all expectations. ROSworks remains committed to offering one of the most comprehensive and competitively priced solutions in the industry and continues to foster academic growth and achievement amongst students and educators alike. Ready to Buy? Need More Information?